NASA will lay the foundation for spacecraft life extension and long duration space exploration with the upcoming launch of Robotic Refueling Mission 3 (RRM3), a mission that will pioneer techniques for storing and replenishing cryogenic spacecraft fuel. 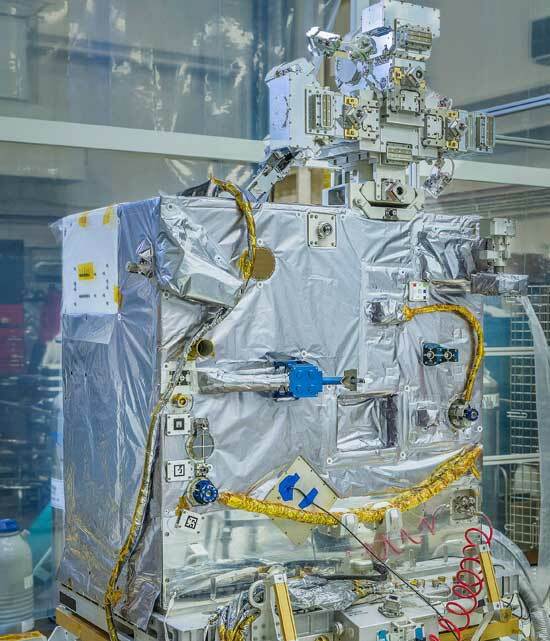 The third phase of an ongoing technology demonstration, RRM3 will attach to the International Space Station and build on two previous missions — RRM and RRM2. These first two phases practiced the robotic tasks of removing caps and valves on spacecraft, leading up to the act of replenishing fuel, but stopped short of cryogenic fluid transfer. Cryogenic fluid can serve as a very potent fuel. As a propellant, it produces a high thrust or acceleration, allowing rockets to escape the gravitational force of planetary bodies. As a coolant, it keeps spacecraft operational and can prolong their lifespan by years. Besides these uses, the ability to resupply cryogenic fuel in space could minimize the amount of fuel spacecraft are required to carry from Earth’s surface, making it possible to travel farther into space for longer periods of time. Liquid oxygen is another type of cryogenic fluid, used for astronaut life support systems. Having the ability to efficiently store and replenish this type of oxygen could facilitate astronauts’ capacity to embark on long duration human exploration missions and live on other planets. Another possibility is mining water on the Moon in order to separate it into its individual elements, hydrogen and oxygen — both of which can be converted into cryogenic propellants. 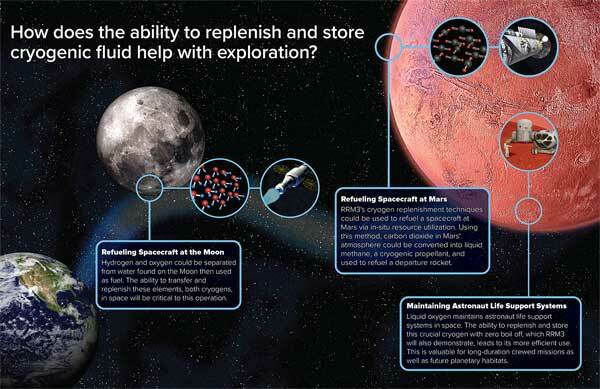 RRM3 technologies will establish methods for transferring and storing these resources to refuel spacecraft on exploration missions, laying the groundwork for what could one day be lunar gas stations. Beyond the Moon, carbon dioxide in the Martian atmosphere also has the potential of being converted to liquid methane, a cryogenic fluid. RRM3 techniques could then be applied to refuel departure rockets from Mars. As useful as cryogens are, their extremely low boiling points make storing them in space difficult, because they boil off over time. RRM3 will not only transfer cryogenic fluid, but store 42 liters of cryogen without fluid loss for six months — enough to maintain spacecraft instruments for years. 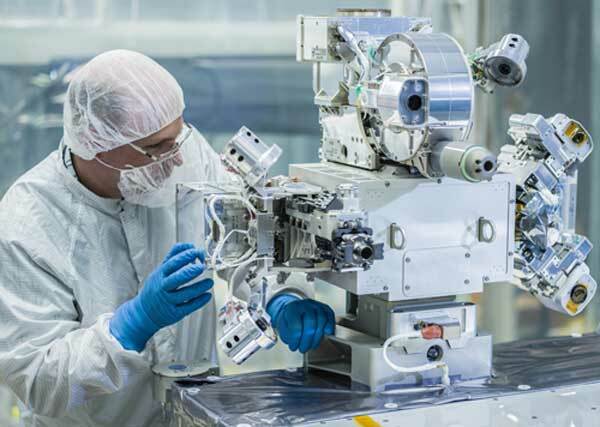 NASA engineers built on lessons learned from RRM and RRM2 to design next-generation hardware. 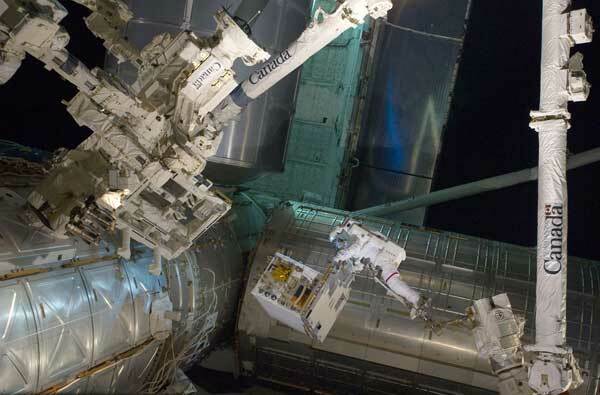 During RRM3 mission operations, the space station’s Dextre robotic arm will carry out tasks using a suite of three primary tools. The task sequence begins with the multi-function tool 2, which operates smaller specialized tools to prepare for the fluid transfer. Next, the cryogen servicing tool uses a hose to connect the tank filled with liquid methane to the empty tank. To monitor the process, the Visual Inspection Poseable Invertebrate Robot 2 (VIPIR2) utilizes a state-of-the-art robotic camera to make sure tools are properly positioned. RRM3 is developed and operated by the Satellite Servicing Projects Division at NASA’s Goddard Space Flight Center in Greenbelt, Maryland, and managed by the Technology Demonstration Missions program within NASA’s Space Technology Mission Directorate. RRM3 is scheduled to launch to the space station on SpaceX’s 16th Commercial Resupply Services mission. on a completely different subject. I was slated to have an op ed published in a major DC newspaper on the safety issues regarding commercial crew…focusing on teh standdown. I have received new information from a variety of sources which has changed my view on this. the safety inspection is in my view now warranted. Cryofluid transfer in microravity development is way overdue. If it is a rational safety inspection sure. I am aware of many OSHA inspections that resulted in lower safety. Non-certified scaffold goes away and people end up on ladders type of thing. Never mind that the scaffolding was well designed and overbuilt. I would worry about NASA inspection being agenda driven. This isn’t the way we’ve always done it sort of thing, to the detriment of advancing the state of the art. Will you still be writing the op-ed but with a different editorial viewpoint? For which paper? Do you have an approximate date of publication? Will the op-ed, assuming it’s still on, contain details of your new information and its sources? This is both useful, and a mistake. NASA appears to be doing this, for the purpose of refueling sats DIRECTLY. IMHO, that is a mistake because more things can and do go wrong with sats. With many sats, they can lose their position keeping gyros. Or lose com, batteries, solar electricity, etc. As such, all future sats really need to be designed in 2 parts. The first being the payload, such as mirrors, sensors, etc of a space telescope. The back half would be a tug that uses a standardized docking port that esp allows comm, and electricity flow between them. But said tug could be specialized, or generalized. Regular engine/motor for moving sat around. Small ion thrusters. Gyro place keeping. Comm link to earth for tug control. Nav. Solar, batteries, extra CPU, storage, etc. A sat should be far more likely to lose those operations, so a replacement tug is far more useful, than simply a refill. Note that the tugs can then refill. This is a good thing. The only way to prove to the naysayers that something is possible is to “just do it”. This sort of technology development is exactly what NASA should be doing. Well then what does a hole drilled in the pressure vessel of the Soyuz orbtal module and the incorrect assembly of a booster warrant. BLINDERS AND CROSSED FINGERS!!! That’s what keeps getting people hurt and killed. Using inspection by paper pushers instead of qualified people.